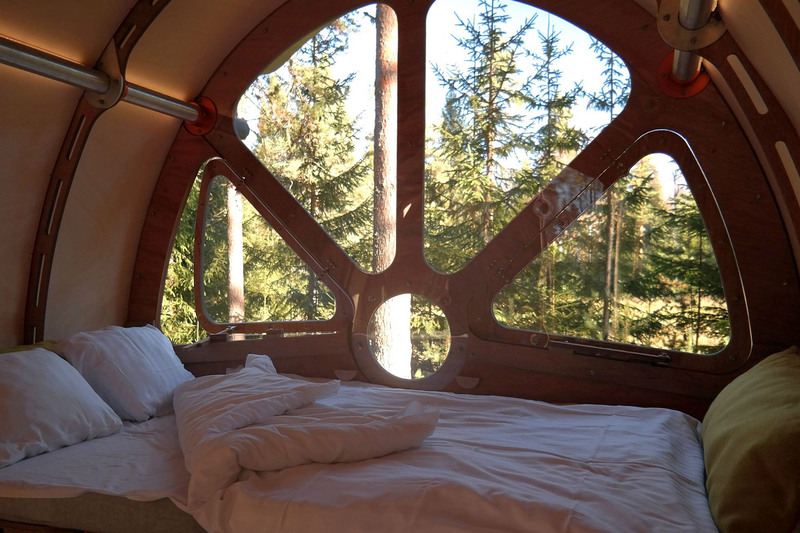 From the outside, the Fuselage Wilderness Cabin looks like it was dropped to earth from outer space. 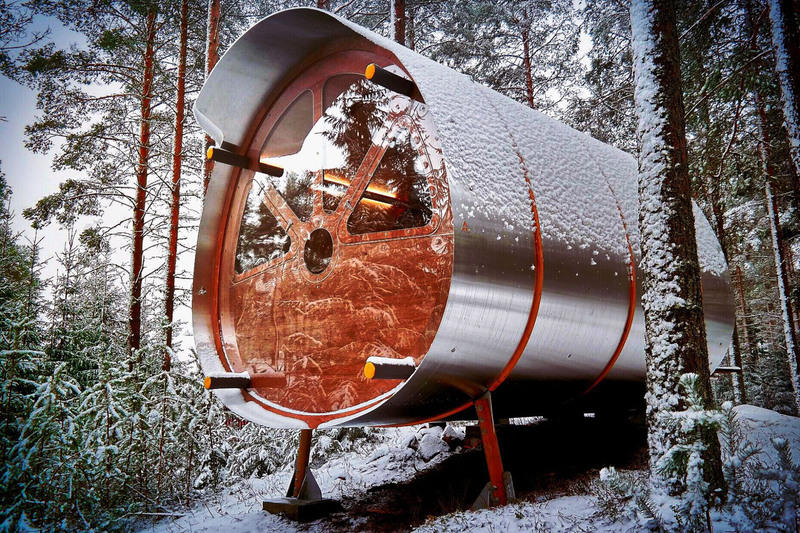 Shaped like a fuselage, this tiny cabin designed by Tree Tents has a futuristic look that betrays its cozy interiors. 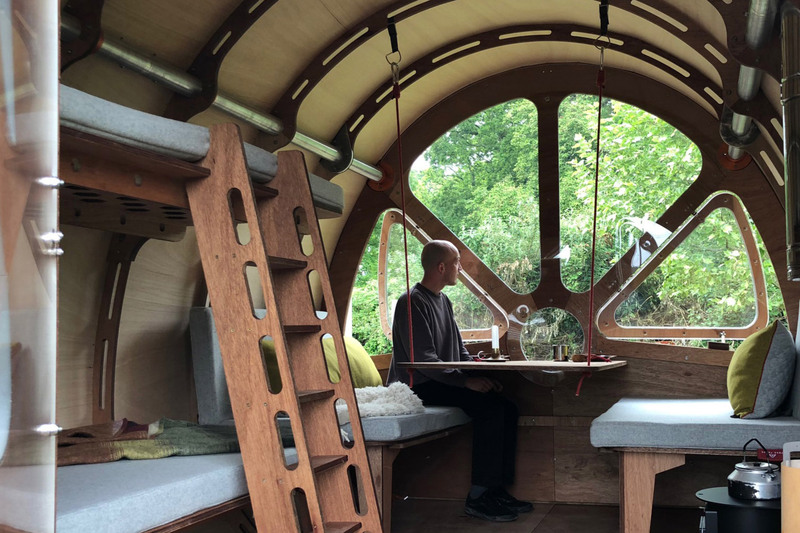 Fitted with bunk beds, a dining area and a micro wood-fired stove, the cabin appears pleasantly roomy, no doubt helped by the abundance of natural light and the use of warm birch wood to brighten up the interiors. 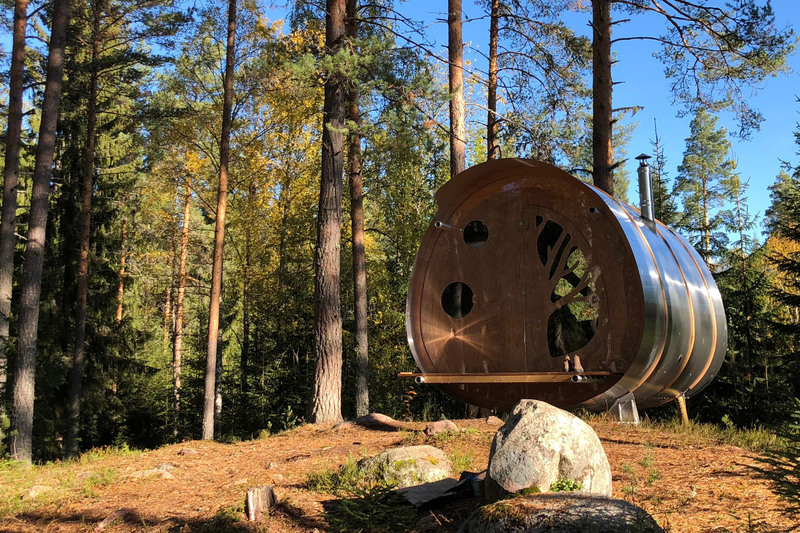 Tree Tents used materials which are robust yet lightweight enough for the cabin to be mounted on stilts, an eco-friendly gesture that merits a hearty thumbs up from us. 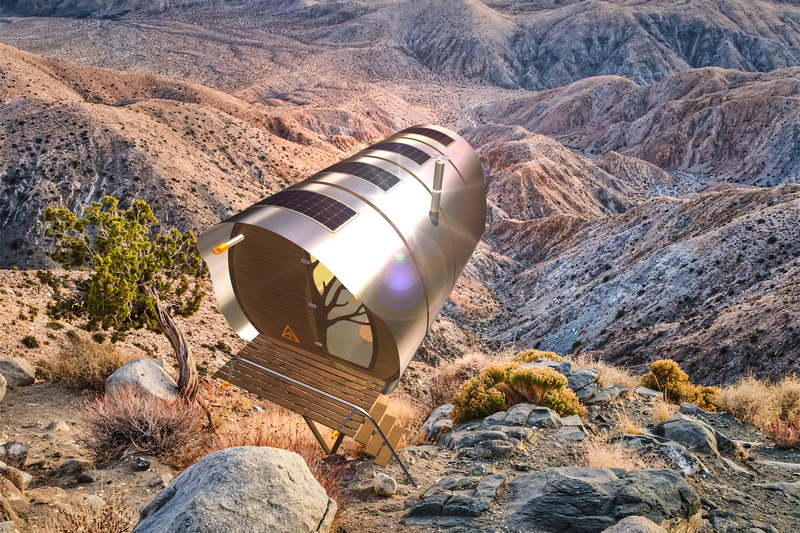 Visit Tree Tents for more info on acquiring your own. 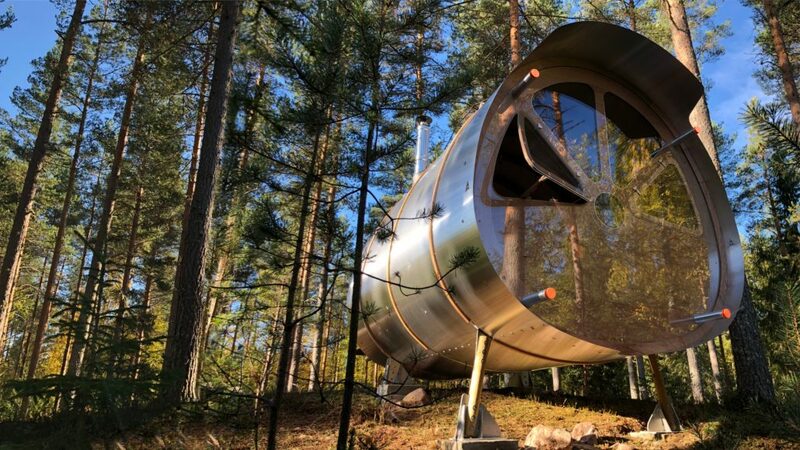 Fuselage wilderness cabin has one critical design flaw making it impractical for any outdoor environment. 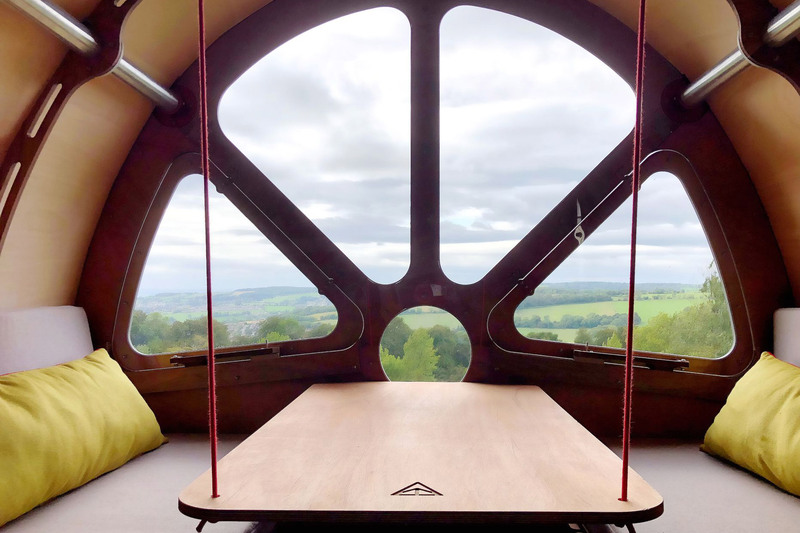 Windows have no screens!